It's time, dear witches and wizards (and muggles, too) to find our way back home to Hogwarts. That's right, it's September 1st, and all I want to do is board the Hogwarts Express. And since I can't go back to my first trip there, I am instead rereading my beloved Harry Potter to transport me to Platform 9 3/4 all the way to Hogwarts! Soon the air will be cool, leaves crisp, and I'll find my way to other stories meant to warm the soul. 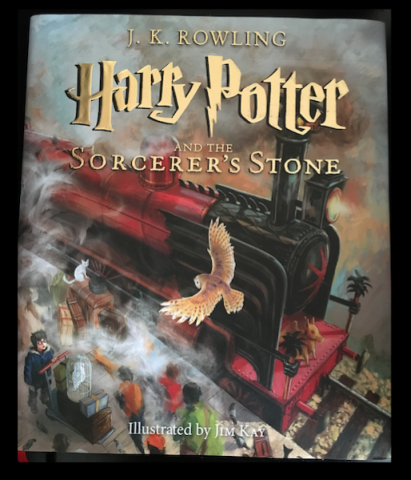 But for now, for today, I am once again reading Harry Potter (the illustrated edition to be exact). Even on days when I'm not reabsorbed into this magical world, I know that Hogwarts is always waiting for me, because like Harry, and so many others, this wizarding school is my home. 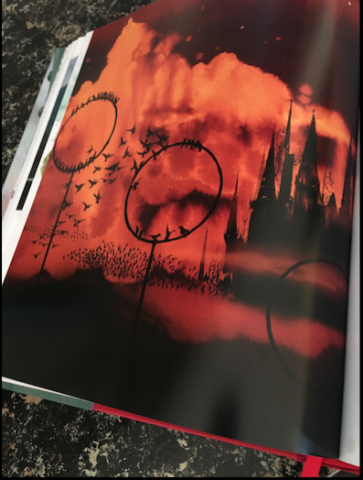 The illustrations within this edition of Harry Potter help to bring the world further to life, and it is what I need with reaity so close behind my front door. 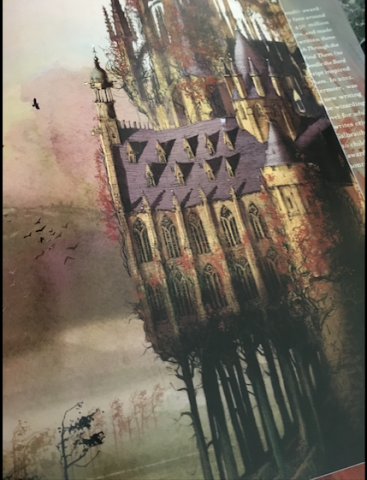 It gives new views of the castle filled with so many truths I remember from childhood: the power of love and friendship, the reality of evil, the beauty of words, etc. So please do excuse me if I take my time leaving Hogwarts before reentering the muggle world!